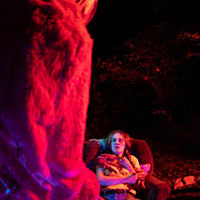 It's Always Pandemonium features over 60 puppets, masterfully designed and crafted by UConn Puppet Arts Program Director Bart Roccoberton, his Pandemonium collaborators, and countless UConn Puppet Arts students under his guidance. 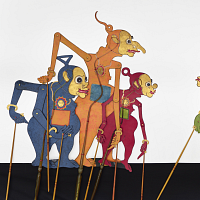 In conjunction with the Living Objects exhibit, the Ballard Institute and Museum of Puppetry created an online catalog that includes information about objects and artists that were featured in the exhibit. 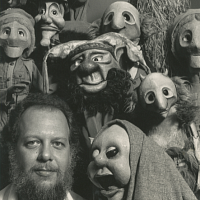 The Ballard Institute’s Kay Janney Library and Archives, named for its longtime librarian, is a research collection of over 2,500 books, scripts, manuscripts, clipping files, posters, and audio-visual materials related to the history of puppet theater. 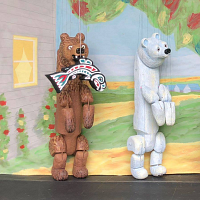 The Ballard Institute is currently offering workshops for groups of children and adults that are conducive to educators seeking new and inventive ways to incorporate puppetry into their teaching methods, and to student organizations looking to learn more about how to build and manipulate puppets.